This is a really great question to ask because it puts your head and your heart into a more fierce competition than Jose Mourinho and Rafa Benitez wife. The question around Roger Federer and his class is not difficult, he oozes it and is the greatest tennis player of history, which few can argue. It is also an interesting question because unlike his friend Tiger Woods, Roger Federer has never stopped featuring at the grand table of world tennis. In fact as Tiger sits somewhere in the 200’s in the World golf rankings, Roger lies 2nd in the ATP rankings. 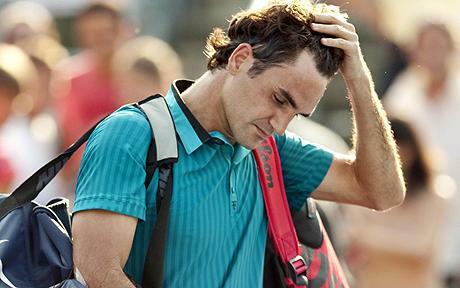 So I thought I would have a debate between my head and my heart around the question: Will Roger Federer win another Grand Slam? Roger Federer will turn 34 on Saturday this week and in the open Era we have only seen two other men win Grand Slam titles older than this. Those men are Ken Rosewall at 37 in the 1972 Australian Open and the other was also in 1972 when Andres Grimero won the French Open. So not even Pete Sampras, Bjorn Borg, Rod Laver or Roy Emerson were able to win post 34, that’s a lot of pressure on the Swiss shoulders. Whats probably more pressing however is the form the maestro has shown in grand slams since his win in Australia in 2010. He has played 22 Grand slams, winning the 2012 Wimbledon and only making 4 finals in that time. The serious concern is that to win another Grand slam Roger will need to beat two of Murray, Djokovic and Nadal. This itself has been exceptionally difficult and was shared by BBC commentators during the recent Wimbledon. He is still playing outstanding tennis, but he is battling to keep up with the likes of Djokovic and Murray. The amount of tennis on the circuit, the rising group of youngsters, the insane aggressive defensive tennis by Djokovic and age itself all point to Roger never winning another Grand Slam. Instead we should just be grateful that we had the opportunity of witnessing one of the greatest the game will ever see. We love sport for the romanticism. And Roger Federer winning another Grand Slam is up their with the most romantic notions around in sport. The thing about Roger is that he has never been a douche and as a result he has won over some of the most obtrusive critics he ever had. Having had an unofficial battle with Tiger Woods over Grand Slams vs. Majors, it would only be so much more beautiful if it was the tennis ace who reached the iconic 18 number after all. A family man, an honest man and a great man are all ways that we could describe Roger, but the one that is missing is the 18 time Grand Slam major. When you watched Roger Federer at the recently completed Wimbledon, specifically in the semi-final against Andy Murray, you saw all the signs that Roger has enough in his arsenal to beat anybody. He has one of the most devastating serves when delivering and can counter punch with the best. And let us not forget, this is a man who wins regularly still, including his 1000th career win earlier this year. He has won against Roger, Novak and Rafa in the previous 12 months and let’s be honest, no one really wants Stan to be the most recent Swiss Grand Slam holder. 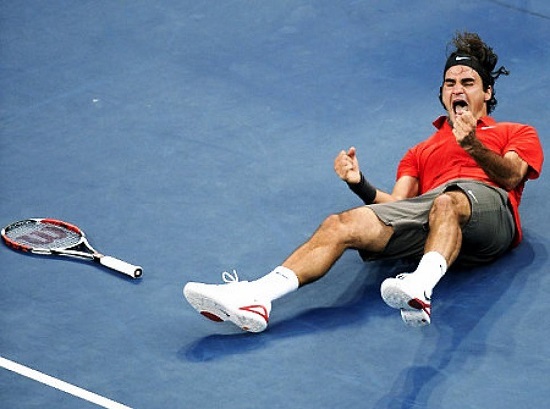 Will Roger win another Grand Slam or will 17 be the target for Novak and Rafa to chase? Let us know your thoughts below.